In 1995 I was invited to Seoul, South Korea, by the VP of Product Development for Daewoo Motor, Ing. Dr. Ulrich Bez - whom Daewoo Group Chairman, Kim Woo Choong, had poached from Porsche AG, to develop four brand new cars. 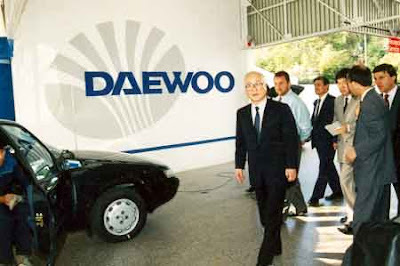 With what are now known to have be very dubious financing and loan arrangements, Kim Woo Choong had acquired GM’s majority interest in Daewoo in 1983, in order to create an independent Daewoo Motor. In addition Kim Woo Choong also built a huge corporate empire, called Daewoo Group, which included civil engineering, ship-building, construction machinery, computers and electronics. Daewoo Group, almost overnight, became one of South Korea's most influential and powerful 'Chaebols'. Dr. Bez and I met at the Daewoo Design Forum. He wanted to reveal to me four new model concepts, which were planned for launch in 1997 – and he was eager for external, non-Korean feedback on the cars. 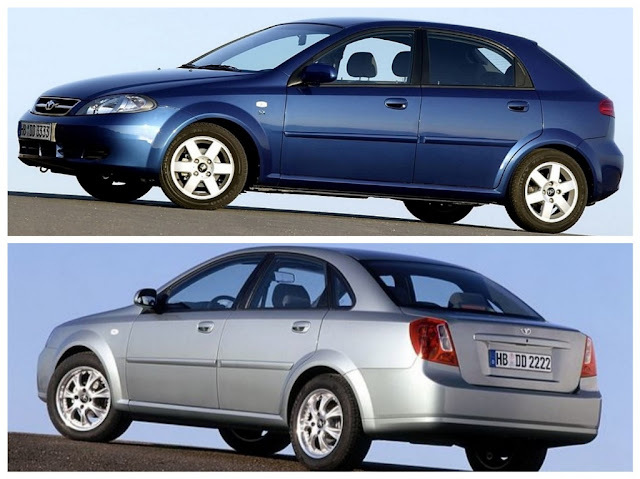 The four new models were to be called Lanos, Nubira, Leganza and Matiz. The Lanos, Leganza and Matiz were all designed by Ital Design. 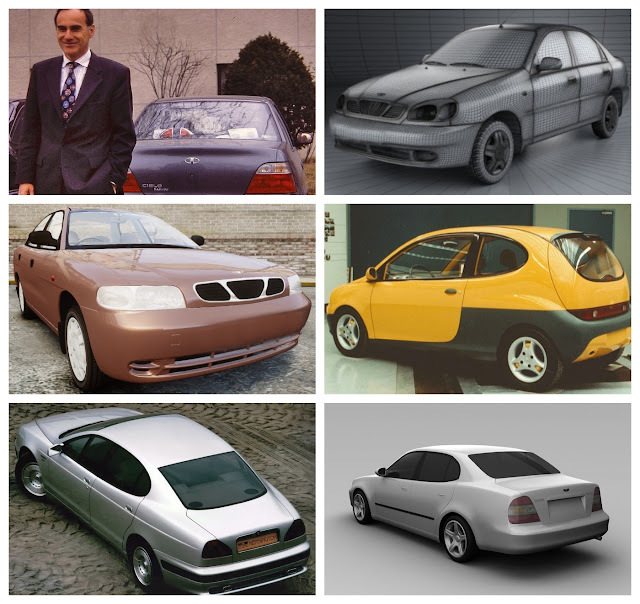 Lanos revealed traces of Giugiaro’s 1995 submission to Honda for the Honda Civic; whilst Leganza was simply a scaled-down version of the Kensington concept car, which Ital Design had presented to Jaguar in 1990. However the design of the Nubira was contracted to Italy’s I.D.E.A Institute, simply to see what a competing design house would produce. The Nubira clay was a stylish, completely different take, from the Giugiaro-designed Lanos and Leganza. Nubira was a very attractive, innovative, and efficient package, with exceptional interior space given the modest exterior dimensions. 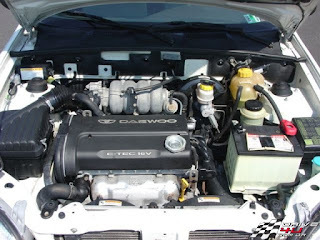 Power came from a 1.6L twin cam four cylinder GenII engine, manufactured in Australia by GM-Holden and mated to a Daewoo-built five speed manual; or the GM-supplied 4T-40 automatic. The brand-new Kunsan plant in which Nubira was built was one of the most modern facilities in the world at the time, and the quality at end-of-line was very impressive. Less than 5% of cars which came off the line required any sort of rectification. The suspension design was a product of collaboration between the program manager in Korea and Daewoo’s Technical Centre in Worthing, Sussex. The chief engineer for suspension was a former Lotus suspension specialist, and the end result featured components which were surprising for a mass market sedan, including a Panhard rod which resulted in a very well-controlled ride and handling compromise. 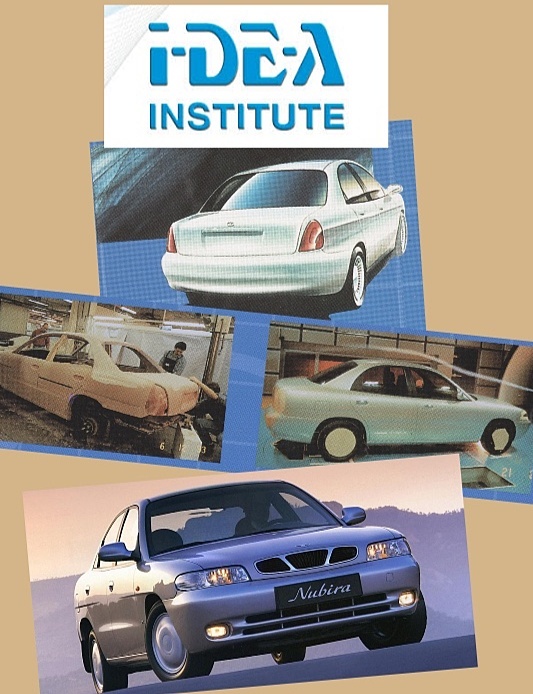 I drove a Nubira prototype extensively at the Millbrook Proving Ground in Britain during a Daewoo ride and drive program in September 1996, and was very positively impressed with its competent handling. In fact, given different circumstances, I think Nubira (with capacity increased to 2.0L) could have formed the basis of a very successful racing sedan, such was the competence of the handling developed by its ex-Lotus handling specialist. 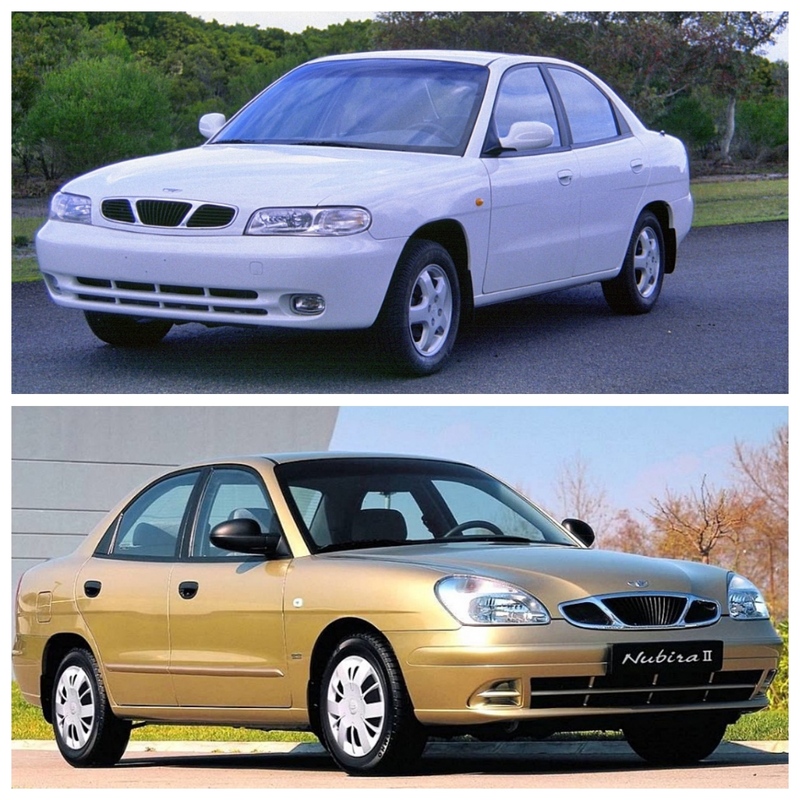 Because of its GM links, Nubira was based on the GM J-car platform, and appeared in two forms before Daewoo Motor collapsed. The original car was codenamed J-100, and the facelift car, with significant improvements was the J-150. The closing of Daewoo Motor may have resulted in personal disgrace and jail for the founder, but the vehicle programs were admirable, competent and surprisingly sophisticated – which I attribute to the technical oversight and expertise of Dr. Bez. Ulrich Bez’s BMW/Porsche experience mirrors the impact which ex-Audi designer Peter Schreyer is having today on the cars from Hyundai-Kia. Beyond the J-150; there was the General Motors-influenced J-200, badged as the Lacetti. The hatch was designed by Ital Design, and the sedan by Pininfarina. They introduced a range of body/chassis refinements, but were also the very last cars to carry the Daewoo badge. We must no longer consign Korean cars to the ‘pretender’ box. They are world-class, benchmark cars, deserving of respect and consideration when making choices. They are solidly designed and built, reliable too, and I’m sure will deliver impressive durability. Given the fact that the next generation of personal transport is such an unknown, married to the fact that you may need to make a decision today on what to buy – then Korean cars deserve to be in the mix. They represent good value, and integrity, and if you can overcome badge bias, they will deliver long term satisfaction. Do you want anything more?